Unethical and illegal conduct by many public leaders such as professional athletes, politicians, corporate executives, priests, and pastors over the past few years suggests lowered behavioral standards and the need for a careful review of how church officers and leaders fulfill their duties and responsibilities. Obviously, if the church's leaders cannot be trusted, then the church itself will be suspect and the work of Christ in our communities and around the world will be damaged and impeded. 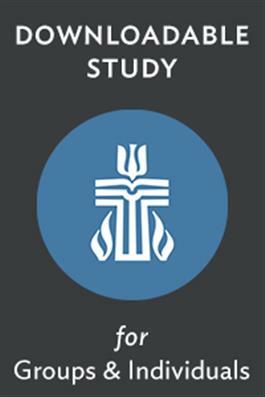 In this one-session study, participants will discuss the importance of appropriate ethical and moral behavior of church leaders. This is important for all leaders in the church because what is demanded of Presbyterian officers even goes beyond the highest levels of ethical conduct required of business executives, important as they are. A church officer is committed to Jesus Christ and takes Paul's charge in Colossians 3:17, the one often used in installation services, with absolute seriousness: "Whatever you do, in word or deed, do everything in the name of the Lord Jesus, giving thanks to God the Father through him."